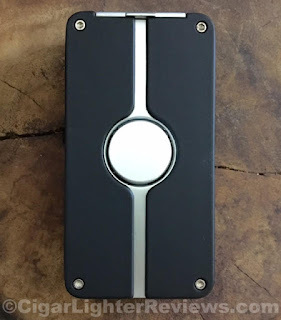 Xikar innovates once again. Surprised?! Shouldn't be. 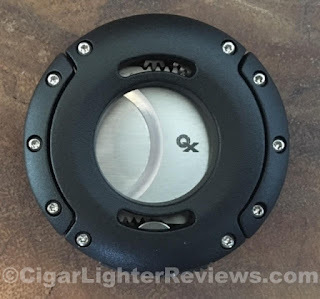 Xikar continually looks to improve and freshen up the sometimes mundane cigar accessory world. At the 2016 IPCPR Xikar unveiled to the world a whole new type of cutter simply called XO. If you are familiar with Xikar's smashing success with the Xi cutter lineup, then you know Xikar has a high bar to hit with anything new. They managed to create something completely different, with minimal compromise. For this review I am going to pretend I never owed my favorite cutter (Xi3 Titanium Black). Why? Because I do not want to compare the two at this point as many people reading this may never of owned a Xi series or simply the XO design aesthetically speaks to them. The first thing I noticed out of the box was it's weight. Visually, I thought it would be heavier. Still not light coming in at roughly 2.45 ounces. Being a fan of weight as it generally means better quality in the lighter world, I should note it did not feel "cheap". 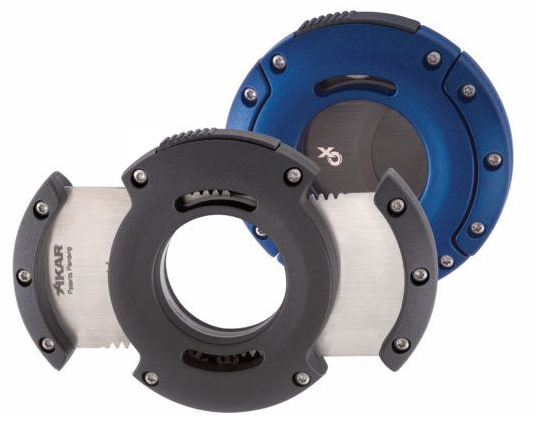 The new XO can cut 64 ring gauge and the caps of 70 ring gauge. To open the XO cutter there is a spring loaded release button on the side of the cutter. This is a very responsive release, no hesitation. Bam, it quickly opens right up. Once open the gear system that Xikar calls Planetary Geared are revealed. There has been some chatter about these gears. My experience when closed quickly (normal cigar cutting quickness) the gears are relatively smooth in action. It's when I was sizing my cigars up between the blades and advancing slowly that I could really feel the "roughness" of the gears. Not deal breaker, but a bit of a surprise at the rough price point of $99. I will note that when fully open there is a bit of "play" and "rattle" between the blades. Maybe the 2nd generation will address a tighter tolerance between the blades. Overall, you have to clap your hands for Xikar. 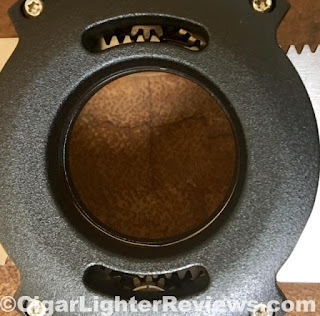 Kudos of to Xikar for not resting on their success and becoming complacent. I think the XO is a great idea, creative, and functional. 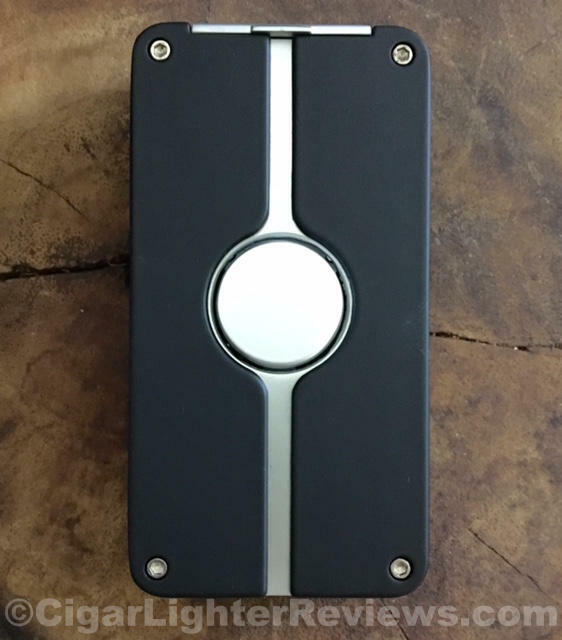 Of course it comes with Xikar's lifetime warranty, a true lifetime warranty compared most to competitors. I have no doubt this line will continue to evolve and improve in the years to come. I will end with the XO is a pretty damn cool cutter. 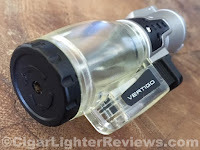 Vertigo seems to always deliver an affordable lighter that it is hard to go wrong with. 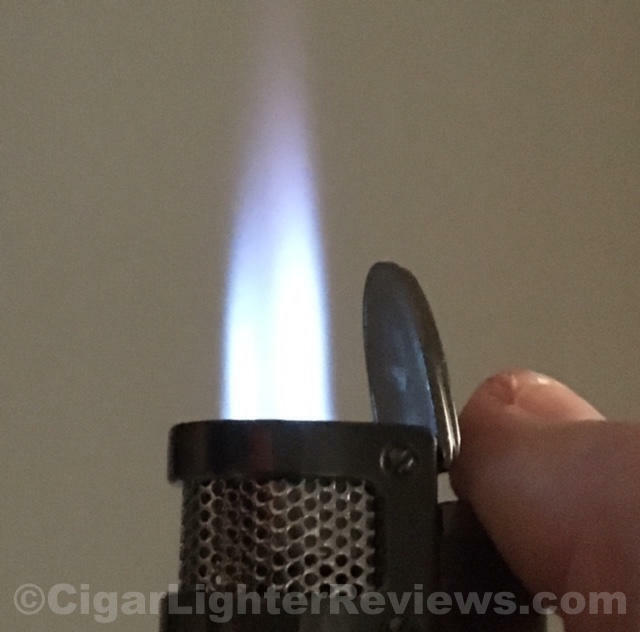 Such is the case with today's review of the Cyclone II Triple Torch lighter. The Cyclone II packs a serious punch at this price point. Keeping in mind cost, the lighter is mostly of plastic construction. Vertigo went with a flip top lid, opposed to a single action thumb action to light. 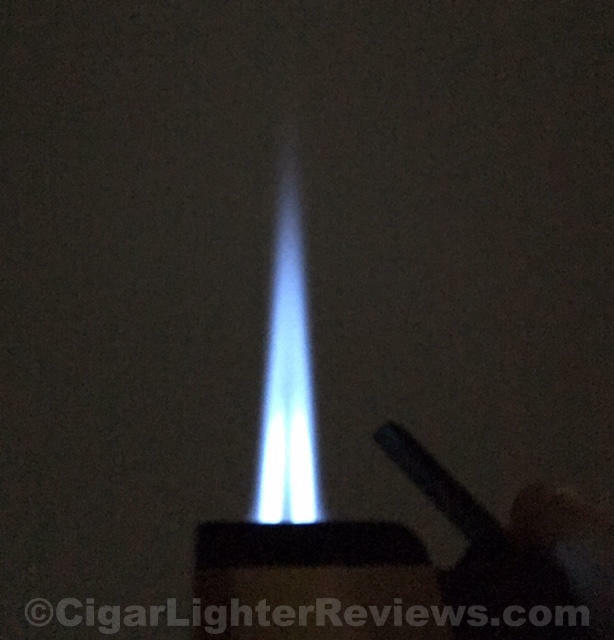 Once the lid is flipped up, the thumb action depressor ignites three very impressive torch flames. Notice, this is the Cyclone II (2). Vertigo improved the original design with a HUGE fuel adjustment wheel located on the bottom of the lighter. Well done. The butane fuel tank is huge and translucent for easy viewing. 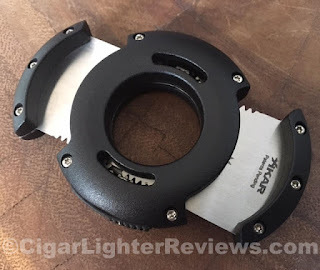 Lacking from the Cyclone is an integrated cigar cutter. I can't really even knock on this considering the value. Vertigo gets a pass on the cutter. I would like to see an single action pusher to ignition. This was a shorter review than my usual on this small powerhouse triple torch lighter. As I mentioned, how can you really go wrong? Average price seems to hover around $16-$22 USD. 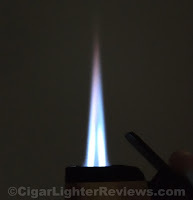 Bolero is one of Jetline's top tier lighters. 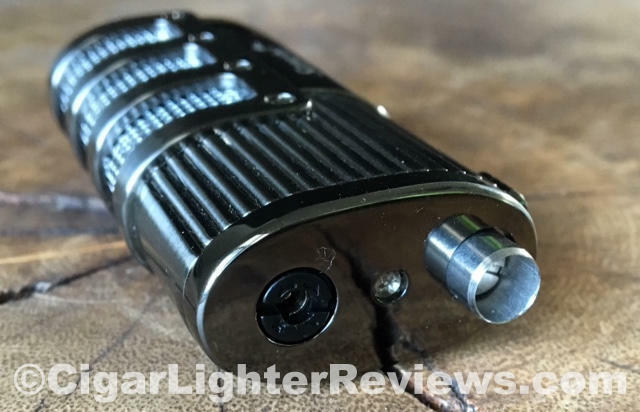 The inline triple torch lighter has nice aesthetic appeal. The name Bolero is derived from music originating in Cuba. 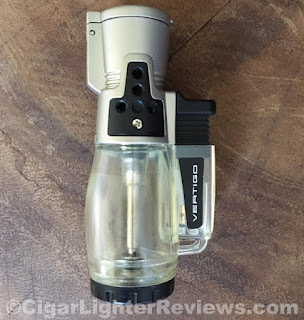 Obviously, appropriate for a cigar lighter. Now if you just get easy access to some legal Cuban sticks! The all metal body construction gives this Jetline a lot of heft. I generally like heft, though, this might be a bit too much for my jean pocket comfort. That said, it certainly feels like quality and is well constructed. Bolero's overall design is comfortable in my hand. There is a a center pusher that ignites the powerful inline triple torches. It takes a decent amount of pressure to depress the pusher A good thing to help prevent accidentally depressing. I really wanted to like this lighter, but it has too many shortcomings at this price point for me personally. The flip top lid does not automatically open when the pusher is depressed. The lid of the JetLine I used for this review does not snap back quickly, literally have to manually open it all the way. It appears to be spring loaded, though almost nonexistent with the one for review. A large fuel gauge window is prominently visible on Bolero's side. JetLine integrated on the bottom of the lighter a good sized 8mm fold out cigar punch cutter. Lastly, the butane fuel adjust requires a tool to reach. That is one of my biggest pet peeves, should not be inconvenient to adjust the torches on a cigar lighter. Overall, I had high hopes for this lighter... You can probably guess my thoughts without me having to lay them all out. That said, it is a nicely constructed lighter, with fantastic inline powerful triple torch flames. The suggested retail is $80. Per usual, a little searching will yield a much friendlier price point. The XO is a cutting machine, inspired by timeless design principles. The dual stainless steel blades operate on a patent pending planetary gear system, ensuring the blades open and close in perfect harmony, providing a guided and clean cut every time. The distinct, round aluminum body of the XO is built for relentless durability and exceptional performance. Engineered to simplify the standard double guillotine style cut. I noticed pretty early on when I first started CLR that not all butanes are the same. 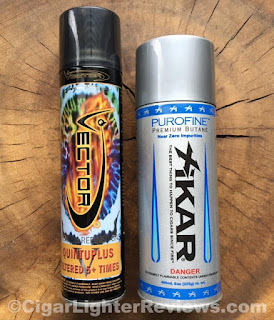 I had always had Xikar Premium (3x refined) and Vector Quintuple Refined (5x) butane on hand. In the early stages of CLR I initially did a lot of Xikar lighter reviews. Seemed appropriate then to use Xikar Premium Butane. 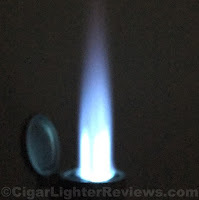 One day I had filled a new cigar lighter (a Bugatti) for review and it was misfiring quite a bit. Would only light around 50% of the time. I was of course prepared to point this out in my review. Then I had a fleeting thought about my can of Vector. I emptied the lighter, purged, and filled with my can of Vector Quintuple Refined Butane. Literally, the once inconsistent brand new lighter was firing up 100% of the time! 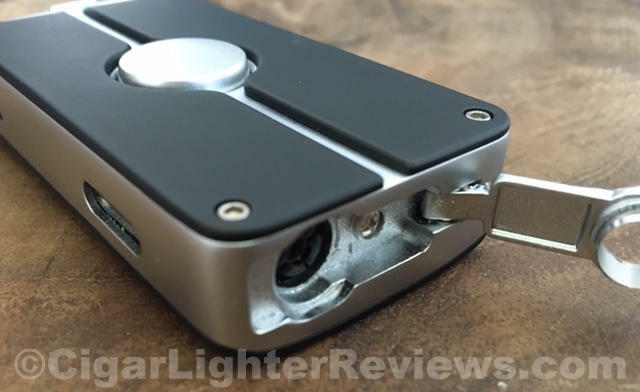 This is not to knock on Xikar's Premium as it is a pretty solid butane option. The lighter for the review must of been on the sensitive side. Since then I have noticed a few differences between the two options. First, is the consistency I feel is better with Vector. 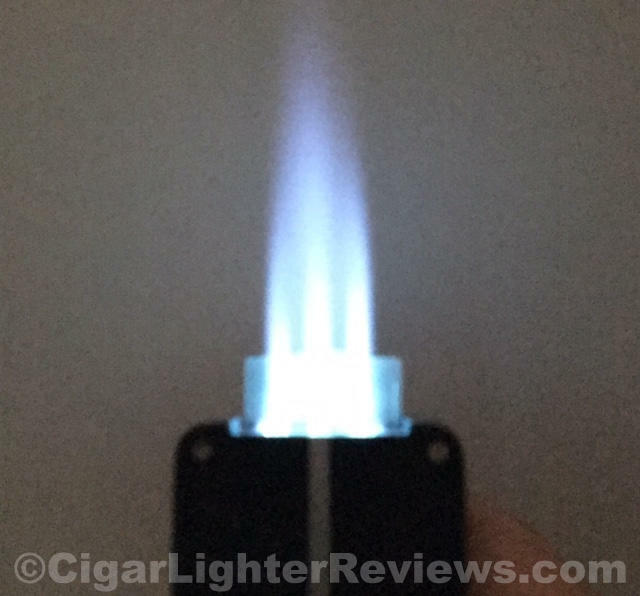 Secondly, keeping the butane adjustment setting the same and filling the same lighter with Xikar and Vector separately there seems to be differences. I tend to notice more consistent blue flames and flame conformation with Vector. Xikar I notice more flashes of orange on higher settings. I have made recommendations to folks over the years about trying Vector over whatever they are currently using to fixed their problem. This is of course after doing all the other proper steps such as purging. 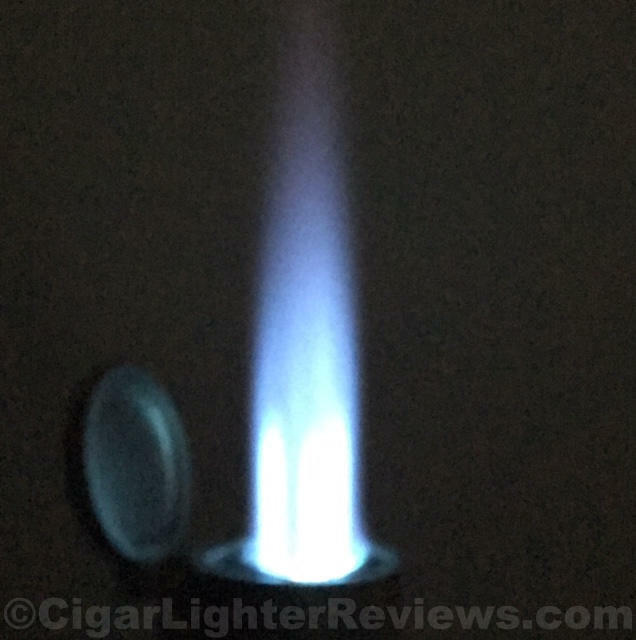 There are a lot of bad quality butanes, to be clear Xikar is not one them. I personally feel Vector's Quintuple Refined is one level above and tends to cost less (bonus). 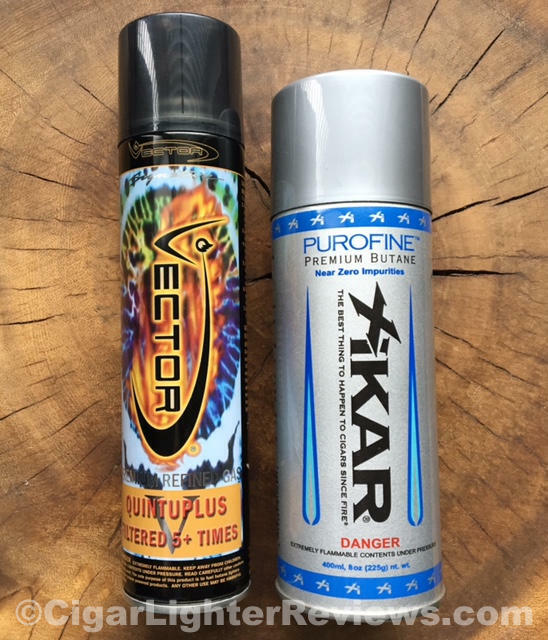 Lastly, a good quality butane is not a marketing ploy, it truly makes a huge difference. You would likely be happy with either Xikar or Vector 5x, you know which one I would recommend. Blue flames to all my friends, fire 'em up! The Scorch Torch brand is LONG overdue for a review on CLR. I have no excuse as to what took me so long, really why did I wait so long?! I picked this gem up for $12.95 off of Amazon. This is the Scorch Torch Dominator and the name is fitting for this beaut! The Dominator is a triple torch value packed powerhouse. It's very well thought from aesthetics to function. Aesthetically, the Dominator name is appropriate, with it's aggressive design. I purchased the gunmetal version for this review as I am a sucker for gunmetal. The overall construction is fantastic at this price point, with plastic only being used for butane adjustment from what I can tell. Scorch uses a simple single action thumb depressor to ignite the triple flames. The flame comes out orange and blue, then quickly turns all blue. There is a nicely integrated cigar punch cutter that is actuated from a locking side lever. Even if you are not a fan of a punch cut for your cigars, it is always handy to have in a time of need. I found the butane adjustment a bit challenging if trying to use your fingers/nails. Also, noticeably missing is a fuel gauge window. Would be particularly handy considering it is a triple torch lighter. More torches equals the more quickly butane gets eaten up. 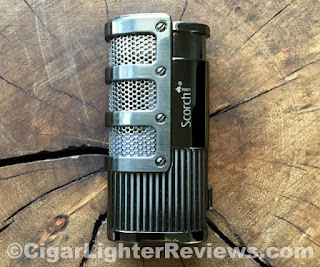 Lastly, Scorch includes a velvet pouch to store the lighter. Odds of me using this? Zero. Though, still a nice added touch. At the end of the day it is hard to knock the Scorch Torch Dominator on any shortcomings due to the obvious value at this price point. A well designed, triple torch, with an integrated cigar punch for $12.95 hard to truly complain about.